In the just-ended test held by AV-TEST, AVL SDK for Mobile, the mobile antivirus engine of Antiy Labs, obtained the certification of AV-TEST with the result of being the first position in the world in terms of malware detection rate. 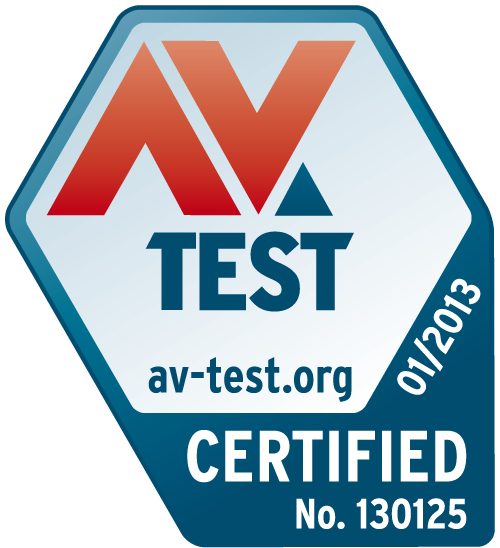 AV-TEST is the world renowned antivirus product evaluation & testing organization. In the past 15 years, AV-TEST has gained the common recognition and trust of information security industry by means of independent testing process and strictly professional test method. In January 2013, AV-TEST held the antivirus product test aiming at Android. The mobile antivirus products of 23 enterprises from the world took this test. AVL SDK for Mobile of Antiy Labs is the only antivirus engine that can be easily integrated to network devices and BYOD/MDM solutions among these products. In this test, AVL SDK for Mobile ranked the world’s top one with the detection rate being 100% in malware detection; it kept being top of the first echelon with more than 90% detection rate in adware and spyware detection; it achieved the full score with extremely low CPU occupation rate and network traffic consumption in the performance test. AVL SDK for Mobile is the next generation antivirus engine developed by Antiy Labs. It can be integrated to different mobile security applications, network devices and BYOD/MDM solutions to detect the newest malware and adware on multiple mobile platforms efficiently. Depending on Antiy Labs’s more than 12 years’ experience in antivirus field, AVL SDK for Mobile has made outstanding achievements in aspects of detection rate, performance, portability, easy-to-use and so on, which was also proved by the test held by AV-TEST this time. The summary of this testing can be find here, and result of AVL SDK for Mobile can be find here.